Exchange OST Viewer tool helps to add many OST files at once by which the users can save their time. 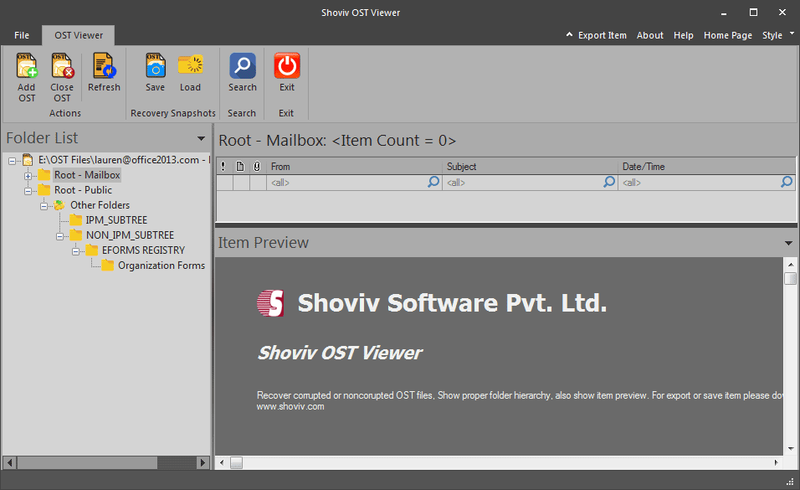 With the help of the software the user can view any size of OST file, there is no size limit for the software. The Graphical User Interface (GUI) is so simple by which the users can easily get to know that how to work with the software. Free Exchange OST Files viewer software allows users to view the deleted items of the OST files and also recovers the OST Files items, but the users can only view they cannot save the files. We have Exchange Recovery software which will help you to recover and convert corrupted OST files and save them into PST, EML, MSG etc formats. If the users have any query about the Free OST Viewer than the users can contact with our technical support team which is 24*7 available to assist you. 3D animated multi zone desktop clock offers different skins, displays the exact time in 3 different locations Animations and sounds accompany useful features - alarms, notes, and reminders.It also can be set as a screensaver.